The ability to reuse and repurpose - exaptation - is often a catalyst for exciting breakthroughs. The Astronomical Medicine Project (yes, astronomical medicine) was founded on the realization that space phenomena could be visualized using MRI software, like highly irregular brains. The first private space plane, designed by Burt Ratan, reenters the atmosphere using wings inspired by a badminton birdie. Anecdotes like this abound in many fields, and the principle applies to working with data and creating data applications, as much as it does any innovation. 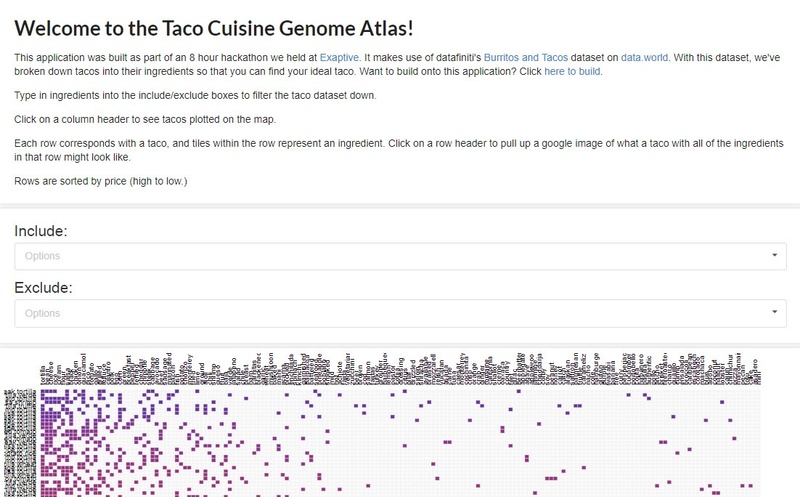 To demonstrate and give our users a running start at successfully repurposing something, we want to share an editable data application, the Taco Cuisine Genome Atlas. We held an internal hackathon in which teams had a day to design and build a xap. (A xap is what we call data application built with our platform. Learn a bit more about our dataflow programming environment here.) One team took algorithms and visualizations created for a cancer research application and applied them to tacos. Application users can identify, according to multiple ingredients, specific tacos and where to find them. The best part is that this wasn't entirely an act of frivolity. Repurposing healthcare and life sciences tools on different, albeit mundane, data led to a potential improvement for the cancer research application - a map visualization of clinical trials for specific cancer types. It can't be said enough. New perspective is a key catalyst for innovation. So, we've made this xap available for the public to kickstart other work. 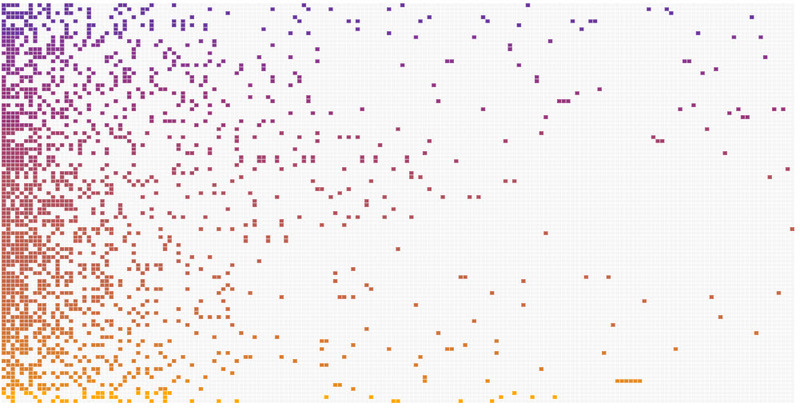 Explore it, build off it, and apply it to your own data. You can also learn the basics of how it's done. p.s. Happy belated National Taco Day! It was a couple weeks ago.